Arsenal will welcome a confident Manchester United side this Sunday, March 10. The team that wins will have a high chance of finishing in 'Top 4' this season. After the humiliation against Manchester United a month ago in the FA Cup, Arsenal fans will be waiting for revenge against their rivals. Manchester United come into the game after a historic comeback at Paris in Champions League. On the other hand, Arsenal is trying to be back to winning ways after the shocking loss to Rennes in Europa League. Arsenal is a point short of Manchester United. If Spurs drop points, even Top 3 finish will become a reality for the Sunday's winner. A win at Emirates is more important for Arsenal than for Manchester United. Arsenal losing on Sunday may see them dropping to sixth place as Chelsea are just a point short with a game in hand. A win at Emirates for Arsenal will make its Top 4 ambitions a lot easier because of the fixtures that Arsenal's rivals have. Manchester United still have games against City and Chelsea. Spurs, on the other hand, have to play Liverpool and City. Chelsea has to play two of the Manchester clubs in its remaining fixtures. These fixtures are unpredictable and can very well lift Arsenal's position in the table. For this to become a reality, Arsenal has to maintain a perfect record in the remaining fixtures coming up in the league. A loss on Sunday will become deadly for Arsenal as Manchester United, Chelsea and Spurs will have a cushion to fall if one of the big fixtures goes in the wrong direction. Arsenal has not been consistent in winning games continuously which can haunt them more in the business end of the season. 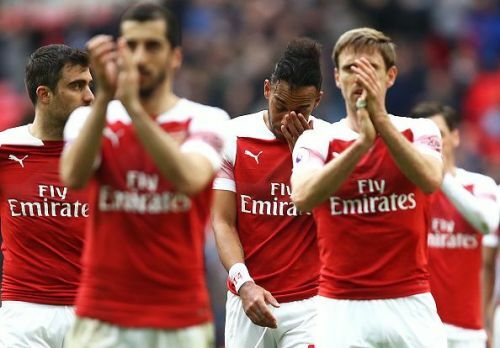 With Europa league already in danger, Arsenal may end up as low as sixth in the league and trophyless for the second time in a row after a long time. The biggest challenge for the Gunners' boss will be to predict United's starting eleven and game plan. Herera and Martial are available for the clash, meaning United have a variety of attacking options. United can go for a 4-4-2 diamond or with a 4-3-3. Herera will add stability to midfield and Martial will add pace in the last three, leaving Arsenal with a lot of defending to do. United have forwards who can interchange their positions during the game. Lingard and Lukaku did that last time they met Arsenal in FA cup. These changes will come up as the biggest challenge for Emery on deciding his backline. He will have to play with a back three in case United go for diamond and back four if they play 4-3-3. Emery can get the match if he gets his back line to perfection. Arsenal's attacking options should include Ozil and Aubameyang, which he missed against Spurs. These two will increase Arsenal's counter-attacking efficiency when combining with Lacazette. The team scoring the first goal will have an edge during the rest of the match. Arsenal is on an eight-match winning streak in home league games. United, on the other hand, is on a nine-match winning streak in away games. The super Sunday will end one of these runs. 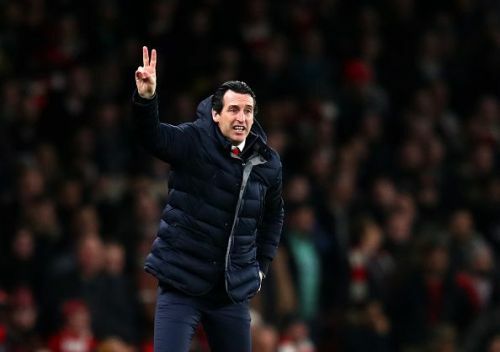 Emery should draw some inspiration from his visiting counterpart and stage a comeback at Emirates on Sunday to inspire Arsenal not only for rest of the season but also for the next one.